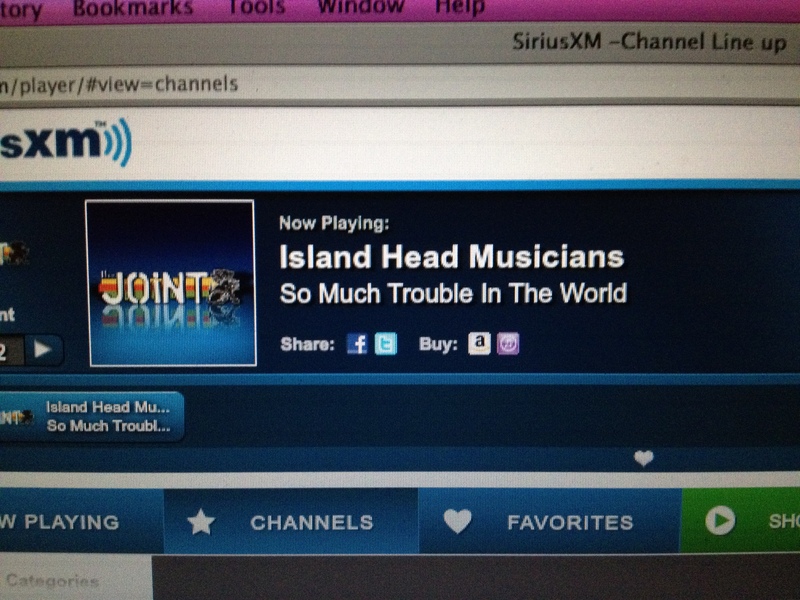 Keep an eye (and an ear) out for the album “Punky Reggae Party” by the reggae band, Island Head. They can be found on the radio, internet, Twitter, Facebook and old fashioned print media. There are radio stations that will be featuring the entire album and some are playing the DJ favorite “So Much Trouble In The World” as well as the single “Reggae Island”. Island Head musicians have been interviewed recently by some newspapers and magazines, as well. The song that is getting the most airplay right now is a Bob Marley classic “So Much Trouble In The World” from his “Survival” album. Island Head’s interpretation of this song features the main melody played by Don Harris on trumpet. Then, there is a long guitar solo from Andy Bassford followed by a keyboard solo from David Frank. The outro is carried by a sax solo from Tim Cappello. It is a fantastic start for a new band. As things progress, we will keep you posted as to when the articles go to print and the stations broadcast the features about Island Head.